The hashtag was created to categorize content. That’s common knowledge. But what about practice? What is this for? Remember searching for the perfect gift to give your beloved on St. Valentine Day? What are your actions if you are an experienced (or even not) Instagram user? Imagine, you need the best box of chocolates in the NYC. 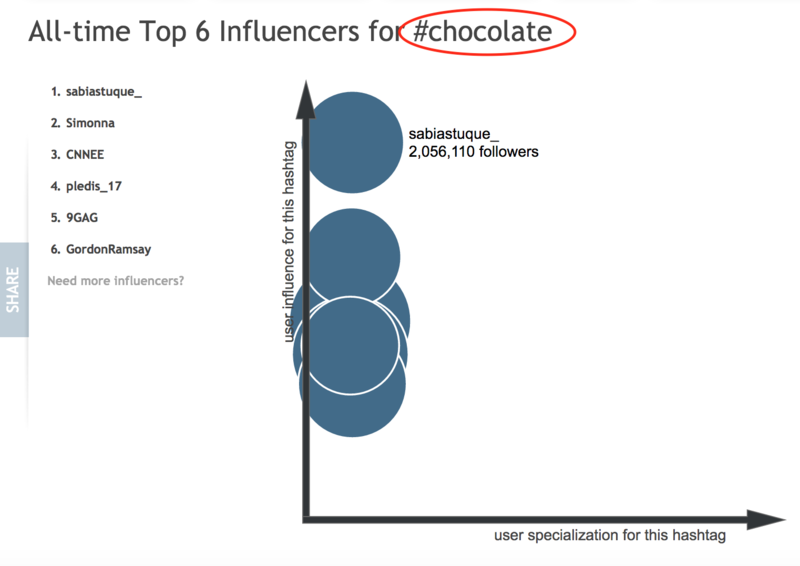 You write the #chocolatesnys hashtag into the Instagram search bar and the magic begins! Now you can choose the photo, which you like best and see where this pic was taken (geo location) or the brand itself – you will visit the instagram page of the company, which produces these very sweets that you want to buy. Nowadays, it’s incredibly easy for your potential customers to research and make decisions based on Instagram hashtags. 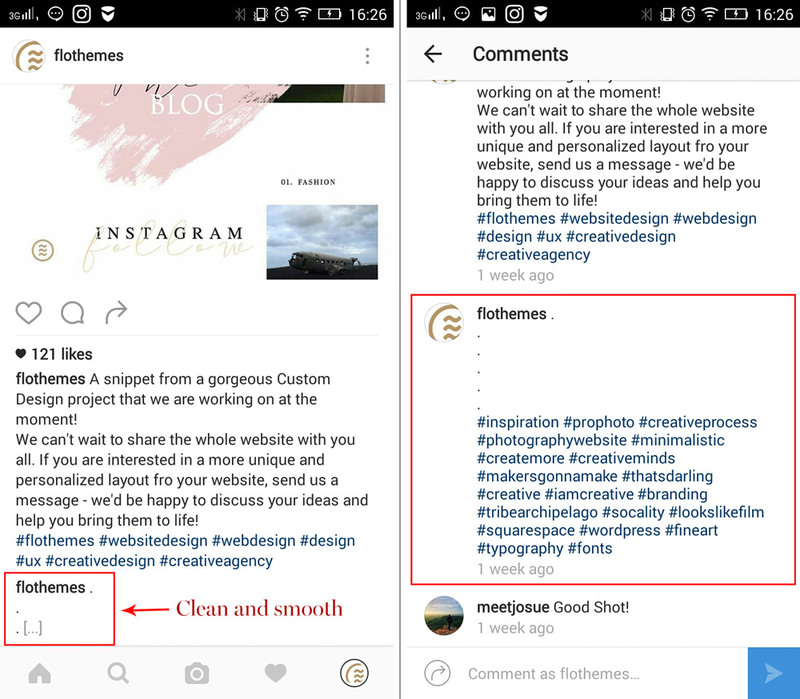 on 5 Recent Instagram Hacks That Will Boost Your Brand Awareness and Increase Traffic. Being a successful marketer means you know your competitors’ social media campaigns. And in our case, it is to know the hashtags your competitors use. 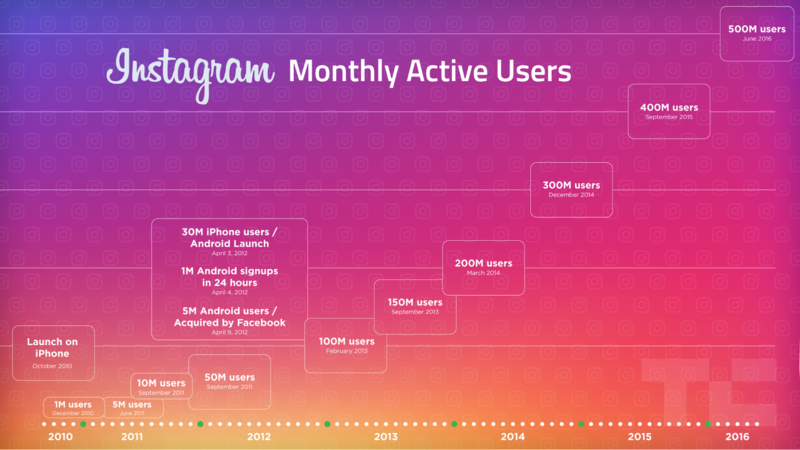 Analyze them, pick the most successful examples and implement them into your Instagram campaign. 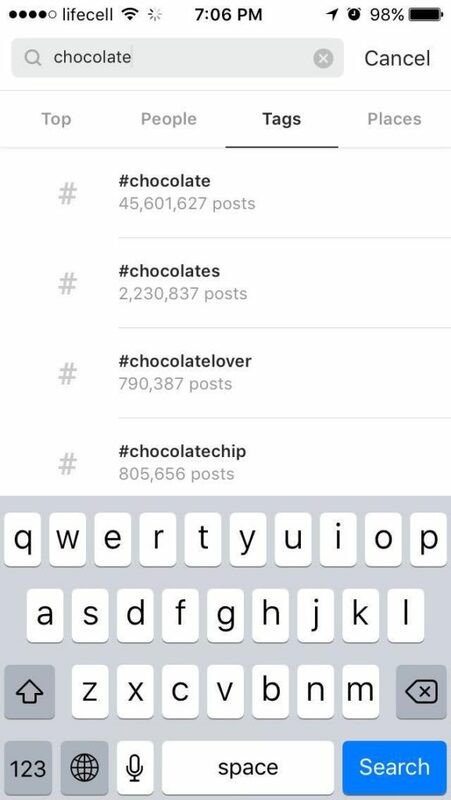 Instagram will give you a list of all the hashtags with that keyword as well as a number of posts that are tagged with it. Remember: a large number may mean a large number of people following that hashtag, but it also means there’s a ton of content your post could get buried in. Experiment with a combination of popular and niche hashtags. So, what special days, events, and trends may work for this type of business? You probably think, it will take me several hours to prepare the list of these specialities. Nope, I will use the only one calendar and its content ideas to show you the schedule of holidays and events for our “chocolate” business. You see, one week and 4! FOUR extra opportunities to post! 4 great special events, which will fit many businesses! With PromoRepublic, the sky is the limit! 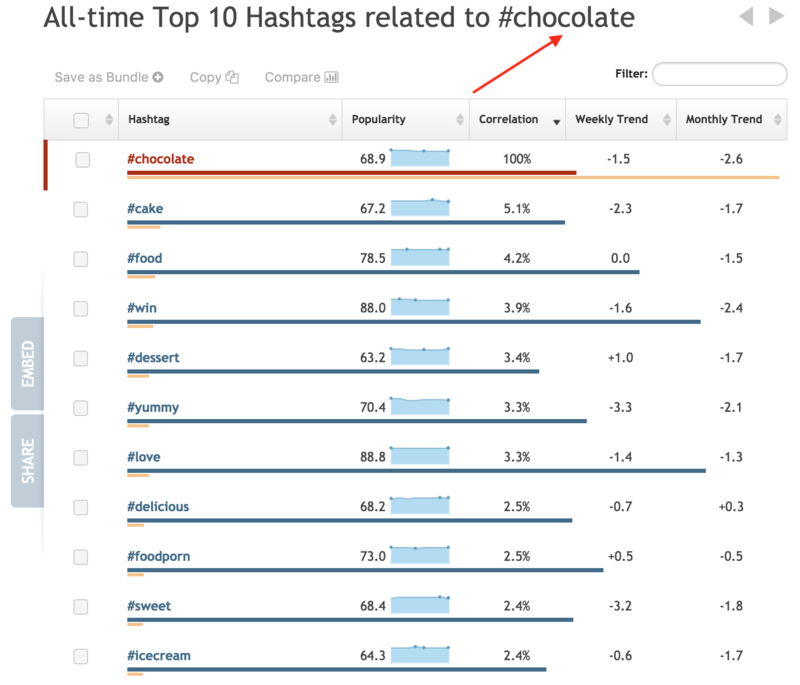 How Many Hashtags You Should Use? 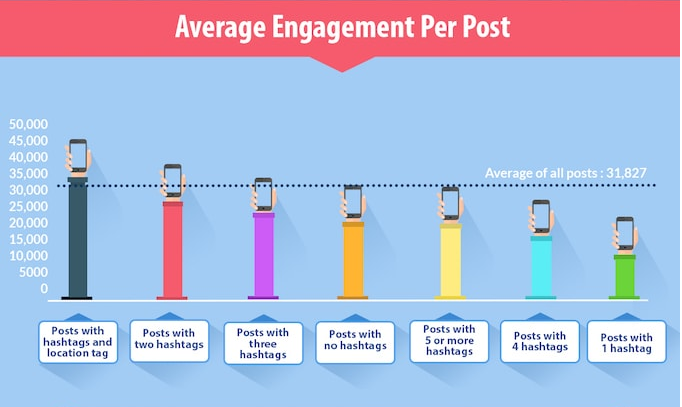 According to this infographics, posts with 2 hashtags and a location tag receive the biggest engagement. Tagging your photos and videos with the most popular hashtags will probably gain you new followers, but they’ll likely be the wrong kind of followers—spammers or people only interested in being followed back. And using too many hashtags might dilute your message and make you seem desperate. Let the content of the post decide how many and which hashtags to use. A brand hashtag is unique to your business or campaign. It could be as simple as your company name, tagline, or the name of one of your products. It will also organize all the posts that are tagged with it on a hashtag page. Take a look at this hashtag page of @bellasentials, PromoRepublic’s client. This page is a a great example of both correct using our posts templates and wise running social media campaigns! No doubt, their results impress! Instagram lets you work with up to 30 hashtags per post. But if you try to sneak a popular hashtag into your post that isn’t relevant to the content you will muddle your message—or worse, you will be exposed as a spammer. If you don’t want to clutter your captions, include them in the comment section below your post. Once other people leave a few comments, the hashtags won’t be viewable. In the caption or comment box tap the 123 key. Select return and then enter a period. Repeat those steps at least five times. Instagram caps off captions after three lines so the hashtags won’t be viewable to users unless they tap the more option. Alright, get out there and start hashtagging! Thanks Alla. I’ll see the video is a bit but are you guys ready with instagram posting for android? Hey! Yes, you can install our app https://play.google.com/store/apps/details?id=com.promorepublic.posting and schedule content on desktop. We are on it now. Great tips, Alla. Thank you!